He had a long and steady career as a trained architect in the United States before going full-time into evangelism. 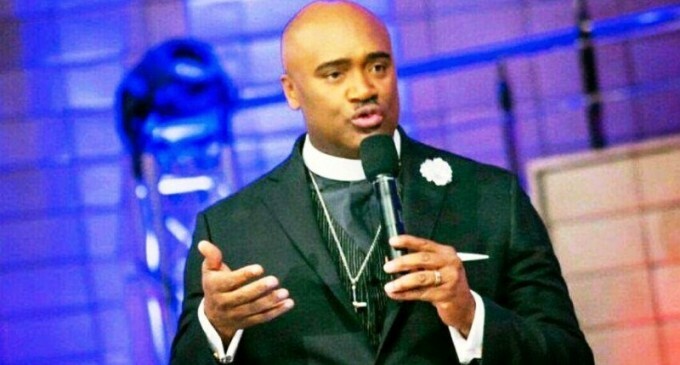 Blessed with a rich occidental drawl, an imposing height, unabashed taste for flashy cars and smouldering good looks that can set off fire alarms, Paul Adefarasin is a televangelist, author and founder of House on The Rock Church, a church with branches across Nigeria and a multi-billion naira-worth cathedral in Lagos housing an average 8,000 worshippers every Sunday. Some days ago, the popular man of God celebrated his 56thbirthday in a grand style. Born in 1963 to a Nigerian father and Jamaican mother, Pastor Paul resided both in Nigeria and the United States early in life. He trained as an architect at the University of Miami, USA. A self-confessed repentant drug addict, he founded the House on the Rock church, a ministry with over 40 branches in Europe and Africa in 1994. He also started the Rock Foundation which collaborates with the church’s social and humanitarian services like rehabilitation and empowerment of ex-convicts, urban miscreants, prostitutes and drug addicts. In 2006, he founded The Experience, an interdenominational gospel concert featuring international and home-grown gospel musicians. At its debut in 2006, there were over 70,000 attendees. The last edition had over one million attendees which earmarked it as the largest musical concert in Africa. He is married to Pastor Ifeanyi and they have three children.